D.C. government agencies administer almost 200 special purpose revenue funds. These funds hold fines, fees, and other revenues set aside for particular programs and activities. The Anacostia River Clean Up and Protection Fund is one example: It holds the 5-cent bag fee. (It also holds the contributions from taxpayers we covered here.) The money can only be used to pay for the cleaning and protection of the Anacostia River. Sometimes agencies get to keep the money in the funds across the years, and other times, they give up what they cannot spend, and the residual funds go to the District’s fund balance. The revenues set aside for specific uses in these funds are significant. 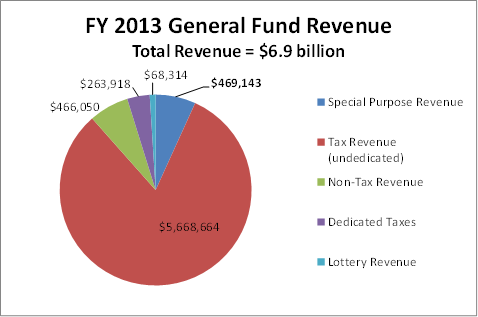 In fiscal year 2013, special-purpose revenues totaled $469 million, or 7 percent of total general-fund revenues. D.C. lawmakers repealed several dozen of these funds in 2011, but since then the number of special-purpose funds has once again been growing. Our report identified eight new special-purpose funds that were established in 2013 and 12 new funds that were established in 2014. Why do we see so many revenue streams dedicated for a particular use? There are some advantages: First, under some circumstances, it makes sense to link fees to the services received. This way, those who benefit from a service pay for it and the programs expenditures are, too, kept under control. A good example is the fees we pay for motor vehicle inspection, which are used to pay for the administrative costs of the inspection program. Second, because the revenues are dedicated to a particular program, special purpose revenue funds create a continuous source of revenue from year to year since the program budgets are on auto-pilot. However, we find that some special-purpose funds accumulate significant balances while others generate little revenue: 13 active funds did not record any revenue during FY 2013 and five others recorded less than $10,000 in revenue that year.